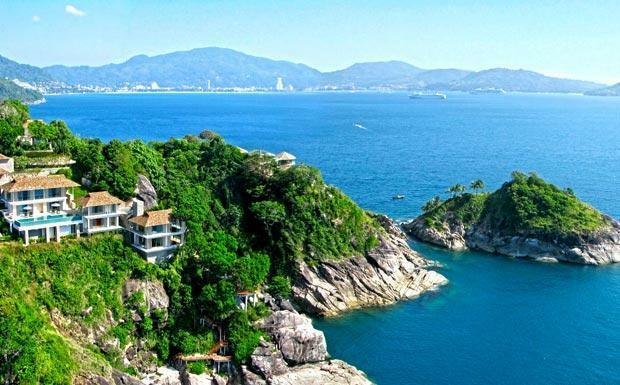 The Phuket images below is a glimpse into what you can expect to be waiting for you. 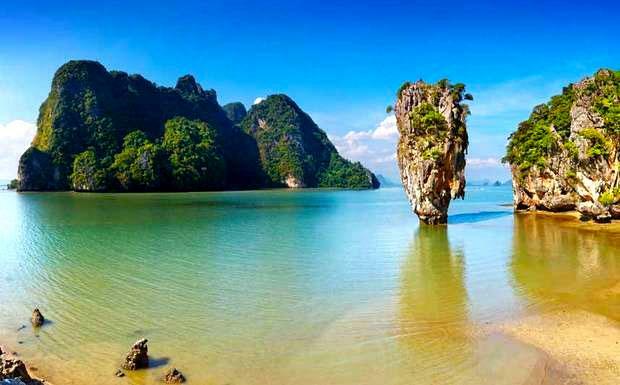 It is of course impossible to capture the essence of an island like this in a photo gallery and we therefore suggest you book from our list of the best hotels in Phuket as soon as possible to secure your space, because 10 Million other tourists per year also want a piece of it. This is the approximate number of visitors passing through each year. Many of these are return visitors having experienced the beguiling nature once and not being able to resist a second or third visit. Of course, for many this island is an annual vacation destination. 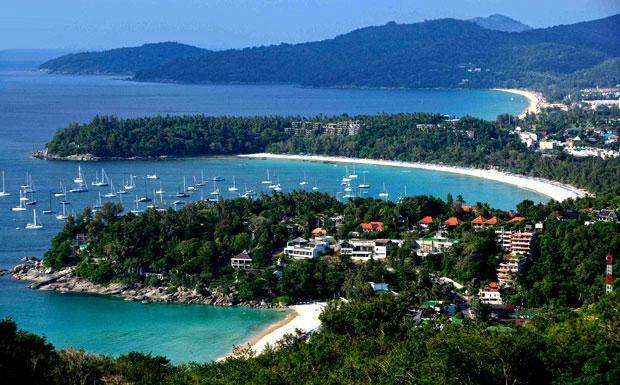 There are several reasons for the popularity of Phuket. 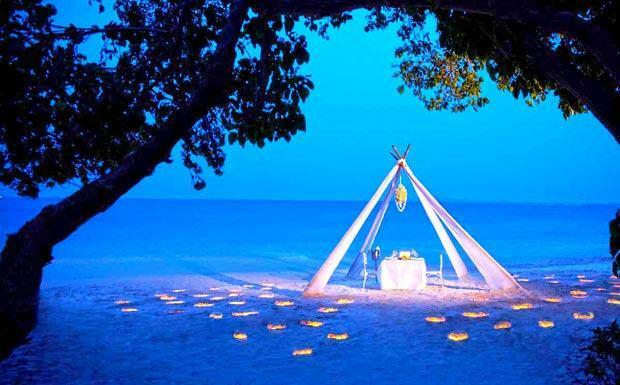 Not only does the island offer a wealth of world class hotel and resort accommodation set amid breathtaking exotic surroundings, but it is also a magnet for adventure seekers like scuba divers, rock climbers, kite boarders and surfers. 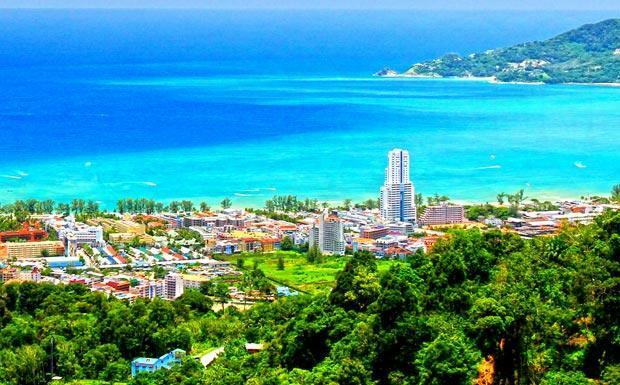 Add to this natural attractions like waterfalls, verdant forest to explore, cultural sightseeing opportunities by visiting temples, an exhilarating nightlife, restaurants, markets and friendly people and it is easy to see why its Phuket constantly see a high number of tourist arrivals. Enjoy browsing through the images and if you have any photos of your own you like to see on our gallery you are welcome to forward it to us. We will give you full credit for it. 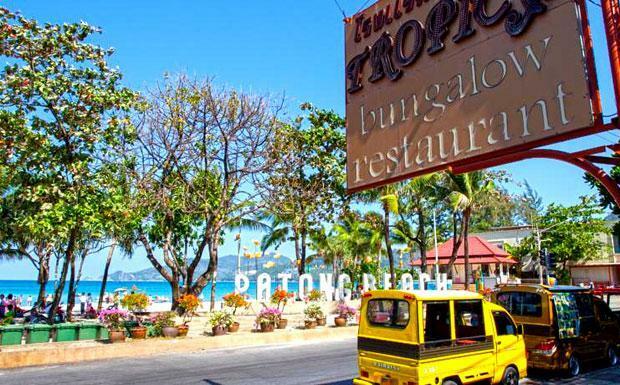 Patong is Phuket's busiest area by far, but you can also stay amid utter tranquility on the slopes of verdant hills and still be near nightlife and other attractions. 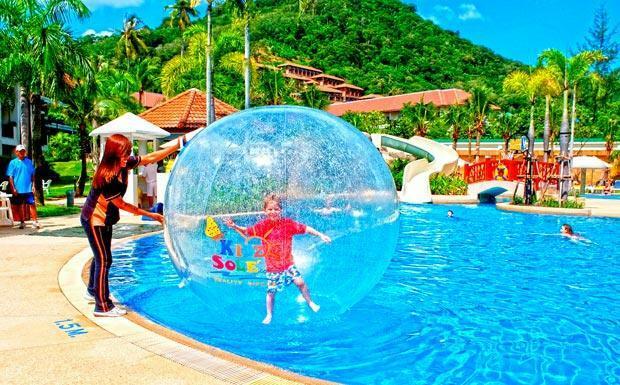 Centara Karon Resort Phuket is a great family friendly hotel with a kids pool and slide in Karon Beach. 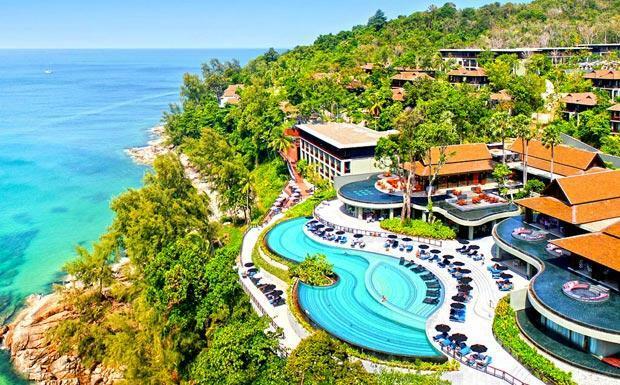 Kata Beach Resort is located right on the beach in Kata featuring beachfront pools with a swim up bar and rooms with ocean views. 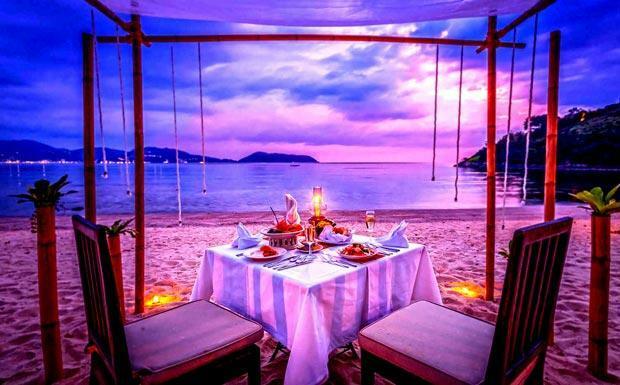 Kata is arguably one of Phuket's most scenic beaches and undeniably romantic. Kata view point is the most visited view point in Phuket overlooking main Kata beach and the small intimate Kata Noi Beach. 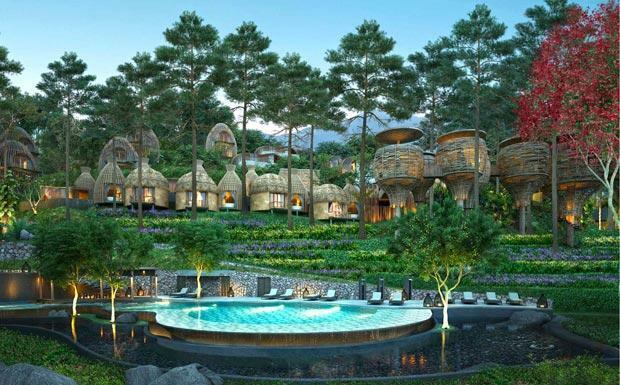 Phuket features many romantic hotels like Keemala Resort which is ideal for a dream honeymoon. 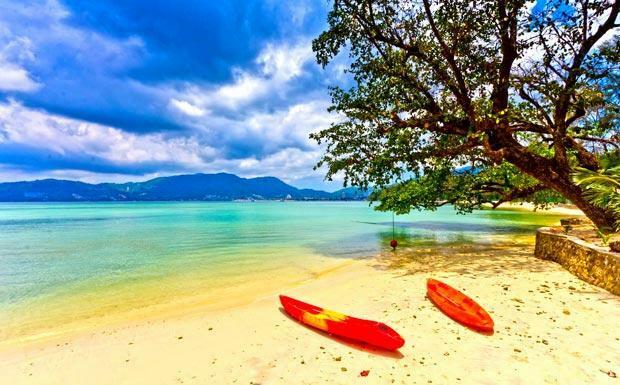 The Panwa Peninsula offers a quiet escape on the east coast of Phuket. 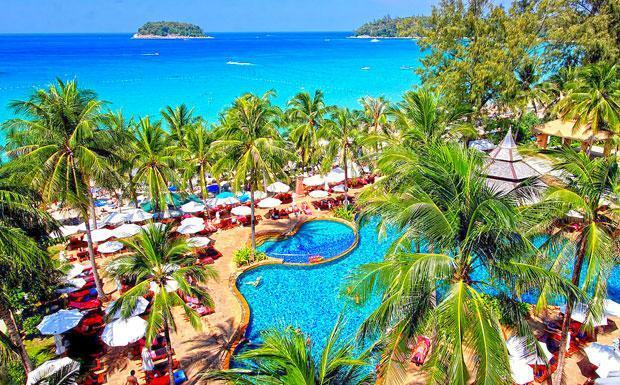 Resorts like Angsana Laguna, Outrigger Laguna and Dusit Thani settle on the fringes of placid lagoons in Bangtao Beach 40 minutes from Patong. Entertainment central, Patong Beach is Phuket's nightlife epicenter. The beach is 3 km long featuring lots of water sports. 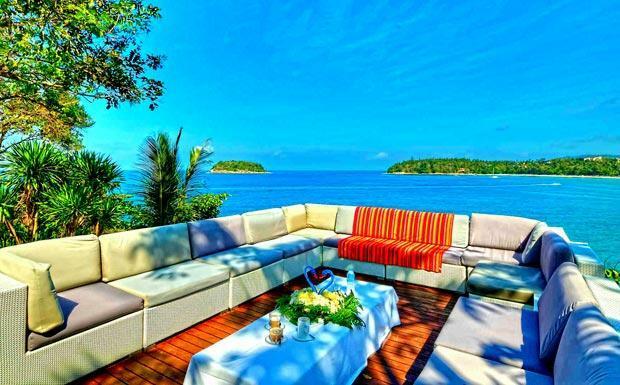 Phuket offers an extensive range of private pool villa rentals like this one overlooking the ocean in he Kamala area. 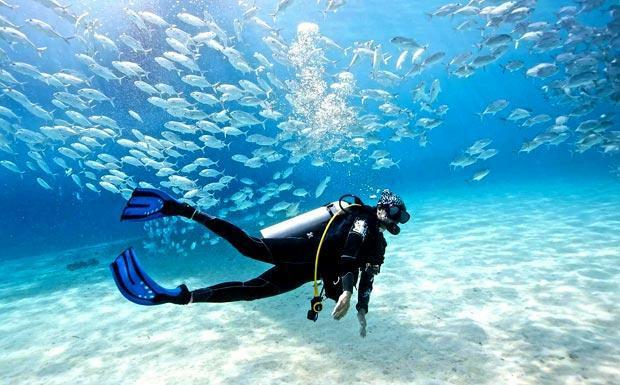 Phuket is a top scuba dive destination offering many scuba centres who also conduct Padi certified scuba training. 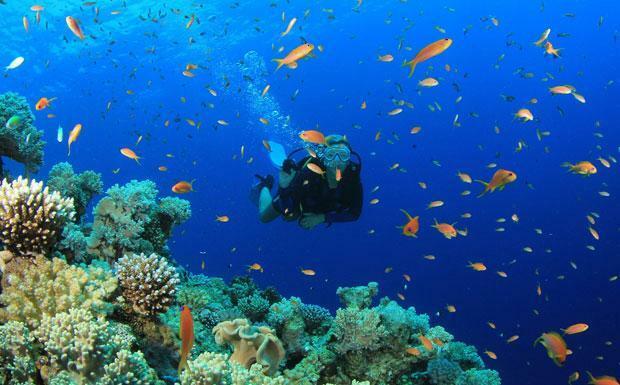 Phuket has colourful coral reefs to explore. 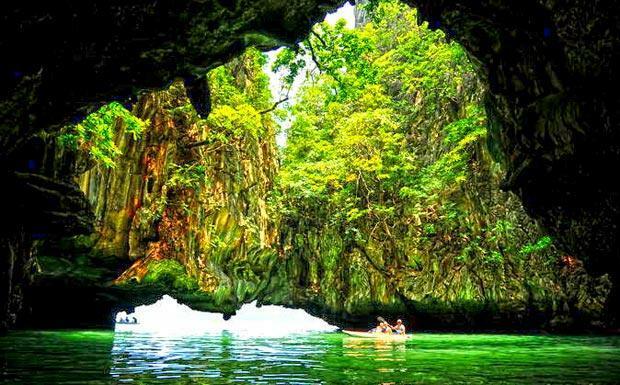 Kayaking around the Hong Islands in Phang Nga Bay off Phuket's east coast is a liberating experience. 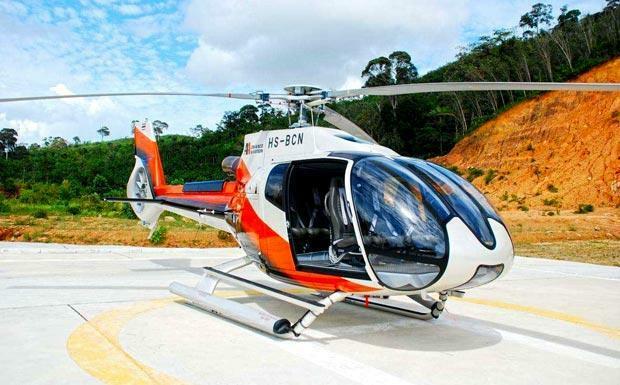 If you can afford it, getting an aerial view of Phuket on a helicopter tour is unforgettable. If you enjoy a good view, The Pullman Phuket Resort and Spa in Naithon Beach is hard to beat. 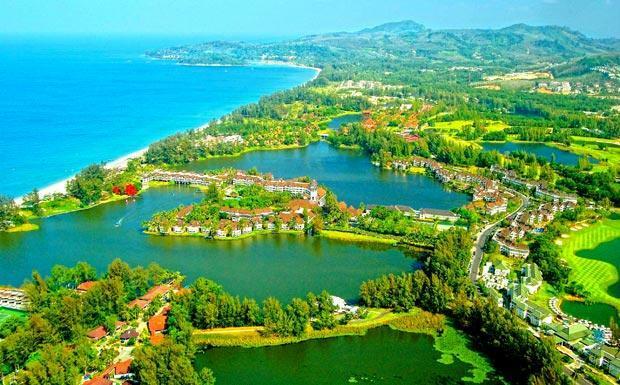 Thavorn Beach Village is a popular resort in Phuket for couples to spice up a romantic holiday. 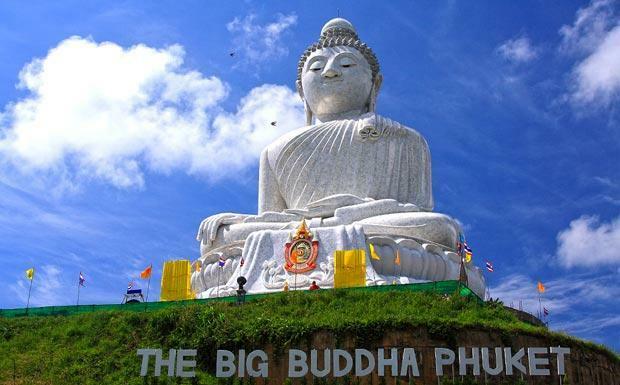 The Big Buddha statue is a famous landmark in Phuket. 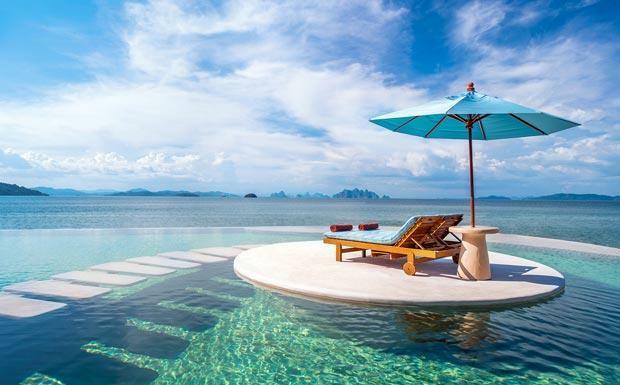 Escape to Naka Island moments from Phuket to enjoy a romantic stay in a private pool villa. There is nothing better than being spoiled and pampered as a couple at the spa.